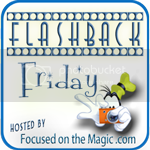 Flashback Friday: My First Mickey Photo | What's the Point? I love going through old photo albums from past Disney trips. First of all, my mother is one of the most organized amateur photographers I know! Everything is developed, in albums and labeled by year and destination. This particular photo was from my first Walt Disney World vacation. 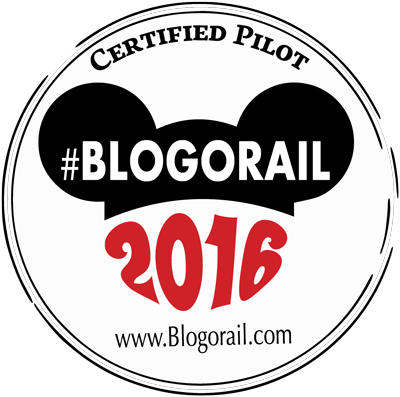 In my Magical Blogorail post earlier this week, I mentioned that my parents and grandparents took me for a few days when I was one. 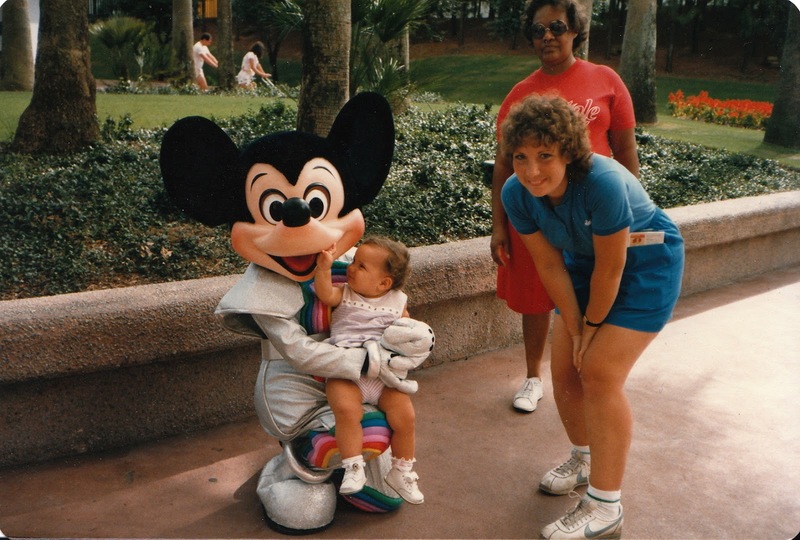 This was my first time meeting Mickey Mouse. 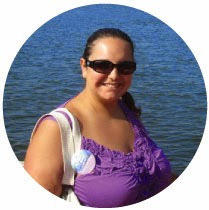 Many thanks to Debra from Focused on the Magic for hosting today's Flashback Friday Blog Hop! Have a magical weekend! Oh how cute! You look so comfortable and curious sitting in Mickey's lap! Funny right? I definitely wasn't a screamer. I was more interested in exploring Mickey's face :) Thanks for stopping by and for hosting, Deb! Awesome picture. I love that you're interacting with Mickey, and Mickey's costume is amazing. Awesome flashback, I love seeing the old Mickey.